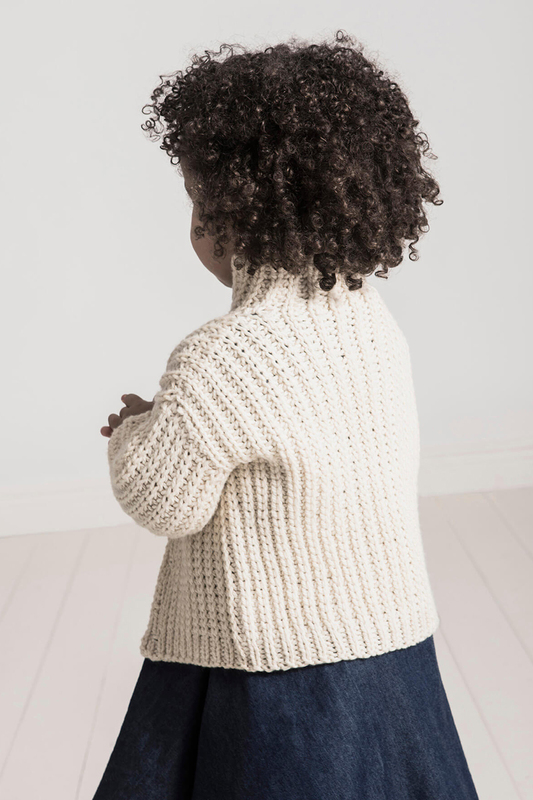 Easy to put on and take off and cute as a button, the Cookies & Cream Cardi will be a fave of both girls and boys, and Mom, too. 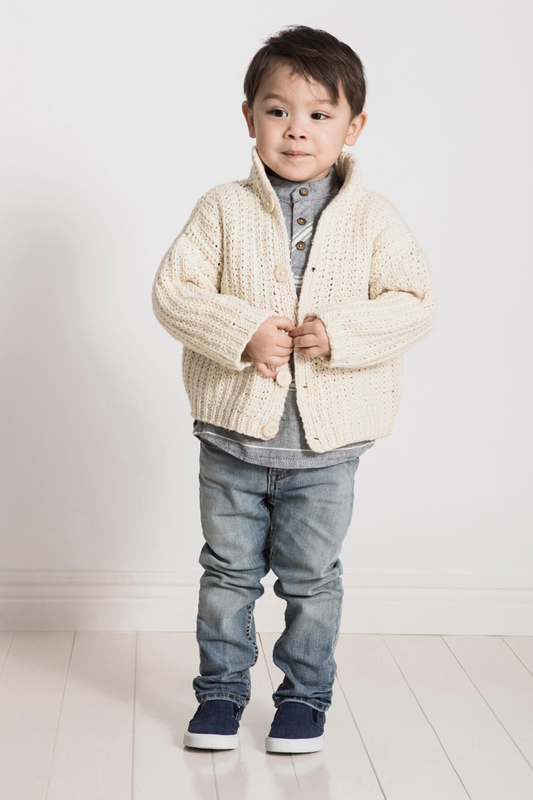 Quick to knit in soft worsted-weight Sweater, a blend of super wash wool and organic cotton, this Fisherman's rib 5-button cardigan has a stand-up collar-and short row shaping keeps the front bands tidy. Finished Measurements: Circumference: 23 (25, 27, 29)" / Length: 11 1/2 (12 1/2, 13, 14)"
Spud & Chloe Small Fries Collection Patterns - Just Right Jacket - PDF DOWNLOAD is a similar pattern: childs cardigan garment, for babies and children, worsted (19-20 sts/4 in) yarn gauge, and spud & chloe sweater suggested yarn. You may also like Blue Sky Fibers The Classic Series Patterns - Big Splash Poncho - PDF DOWNLOAD, which is another similar pattern: 16 (4 sts. / inch) finished gauge, worsted (19-20 sts/4 in) yarn gauge, and spud & chloe sweater suggested yarn. Hopefully our suggested yarn options for Puddle Jumper Poncho - PDF DOWNLOAD can help you come up with your next exciting new project idea!